Recent advances in experimental and theoretical approaches have dramatically honed our understanding of biomaterials, both at a structural and at a functional level. Deformable biomaterials constitute an important class of nature-inspired materials, one that finds a range of applications in our day-to-day life – from droplets, emulsions and dispersions ubiquitous in drugs, food and personal care products – to artificial muscles, cartilages and skins essential for various locomotion and haptic applications. Although material anisotropy has been demonstrated to have significant implications, for instance, on the strength and functioning of tissue engineered constructs, its role as a control parameter for designing biomaterials in general is yet to be assessed. This necessitates the need for a fundamental insight into the science of deformable materials bounded, on the one hand by structural ordering, and on the other hand by the biological activity. 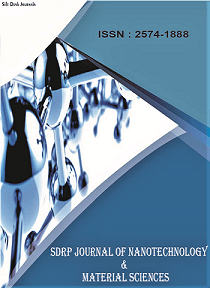 The Research Topic titled “Anisotropy in Deformable Biomaterials” will focus on the role of anisotropy on the structural and functional attributes of biomaterials. The topic will cover original ongoing research – experimental, theoretical, and numerical – on directional self-organization over different length scales, and its impact on the morphology of deformable solids, gels, and liquid phases constituted by biological membranes and interfaces, biopolymers, complex and active biofluids, liquid crystals and liquid crystal polymers, and other forms of biologically relevant self-organized matter. Particular emphasis will be given to transformation dynamics under physico-chemical cues, including but not restricted to, thermal, mechanical and hydrodynamic stresses, chemical heterogeneity, and metabolic activity. Through a rich interdisciplinary flavor, this topic will discuss anisotropy as a potential design criterion for biomaterial constructs from nanoscopic to mesoscopic length scales. Overall, “Anisotropy in Deformable Biomaterials” will provide a comprehensive collection of recent and ongoing studies that showcase the far-reaching implications of anisotropy on the morphological and functional facets of biomaterials.